You're a rock star, and everything about you says so, including your car, your apartment, and even your sunglasses. What you need is interior design that says it, and says it loud. The Smash Hit Shelf ($TBA) is a vinyl wall shelf that mounts cleanly and strongly to hold whatever needs holding. 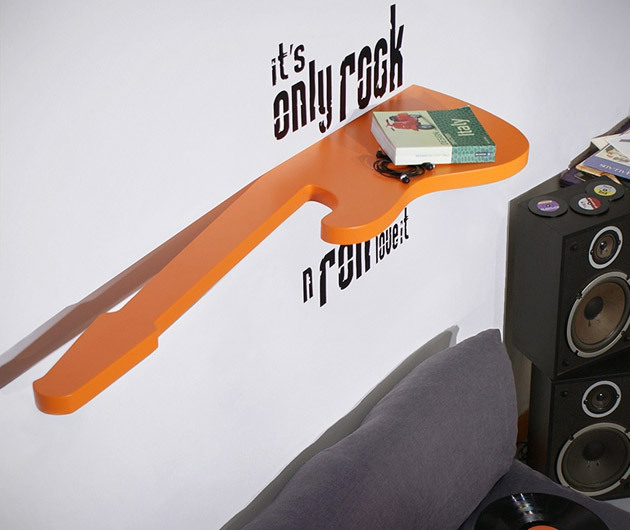 But the best part is that The Smash Hit Shelf is shaped like half an electric guitar, and it's the ultimate, hilarious rock star decor.